I haven’t seen this many early mornings since we had a newborn keeping us up all night. But now that we have one in high school, the alarm wakes us before the sun illuminates the sky. I thought 5:30 would be impossible, but have found it’s quite nice…once I have my hot French press coffee in hand, anything is possible. I’ve always loved mornings, even the early ones. I love knowing that the whole day is in front of me and I can make anything happen. I can accomplish anything. I can check things of my list or set out and explore. Anything is possible when the day has just begun. 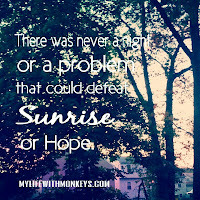 Not every day ends on the same note, but I am comforted that another morning is coming and hope starts again bright and early. Yes, I love mornings. · I have been painting every day with my Countdown to Autumn project. I even had one painting accepted into my first juried show! · Soccer every night keeps us on our toes, but keeps us active. The boys can play! · My husband and I have successfully navigated 14 years of marriage. · I have donated a painting to a big fundraiser. It’s exciting to be involved in the art community. · The weather is perfect, and if you know me, that is always a bonus. How about you? What made this your best week ever? 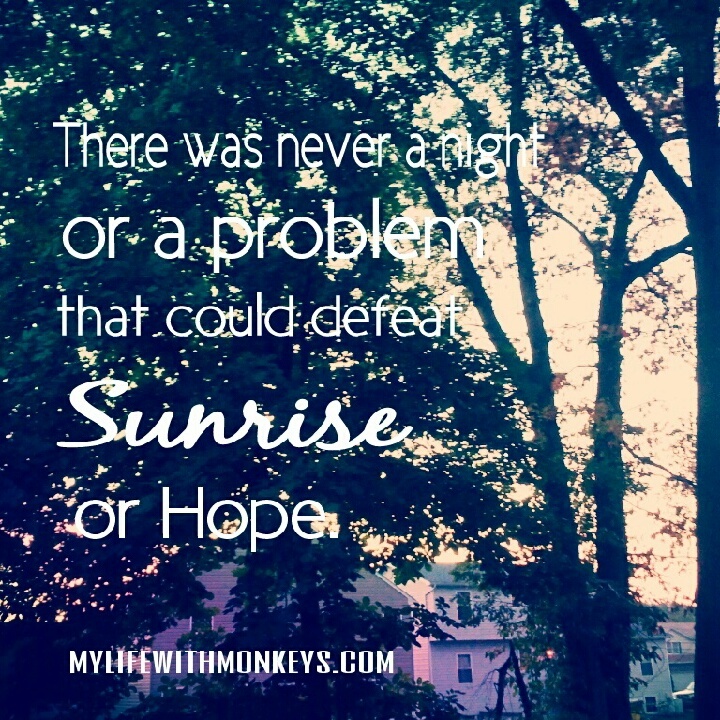 What filled your mornings with hope?